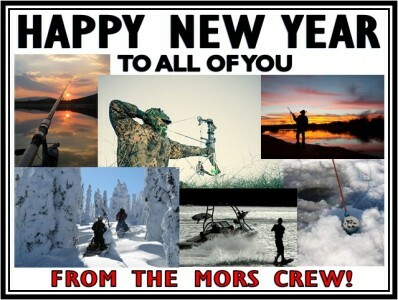 HAPPY NEW YEAR TO ALL OF YOU FROM THE MORS CREW! We wish each and every person, that reads this past, the happiest of new years. May you all create the new beginnings you are seeking and close the chapters you want closed. Thank you for being the reason 2012 was so awesome! Thank you for following The Montana Outdoor Radio Show, and we look forward to an amazing 2013 with you!